We are extremely happy to announce, that once again, jointly with Allegro and Collegium Da Vinci, we are arranging Network&Wireless Meetup! During the event, we are going to focus on IoT security in the era of AI and practical view of IoT, using our Souly system as an example. There will be also a part, when we will try to explain to our guests concept of Digital Twins in IoT projects. 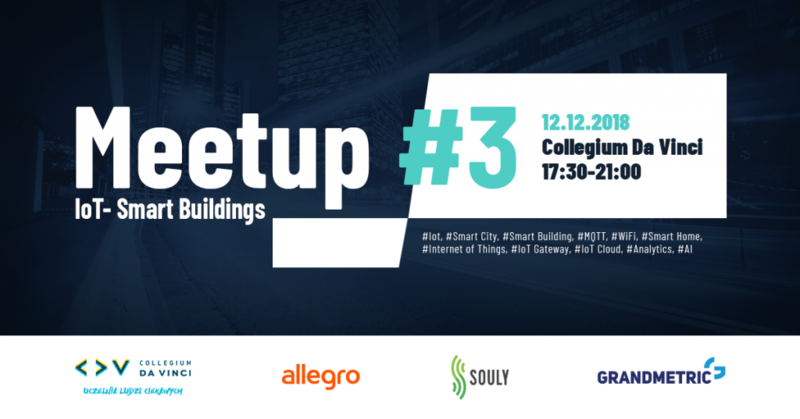 NWM Meetup will take place on 12th December (17:30 – 21:00) at Collegium Da Vinci in Poznań, Poland.